There’s a new brand in town! Have you heard of Colour Excellence or maybe even spotted it at Boots? When I first heard of Colour Excellence, I immediately thought of L’Oreal Excellence hair dye, but this brand has no affiliation with L’Oreal! 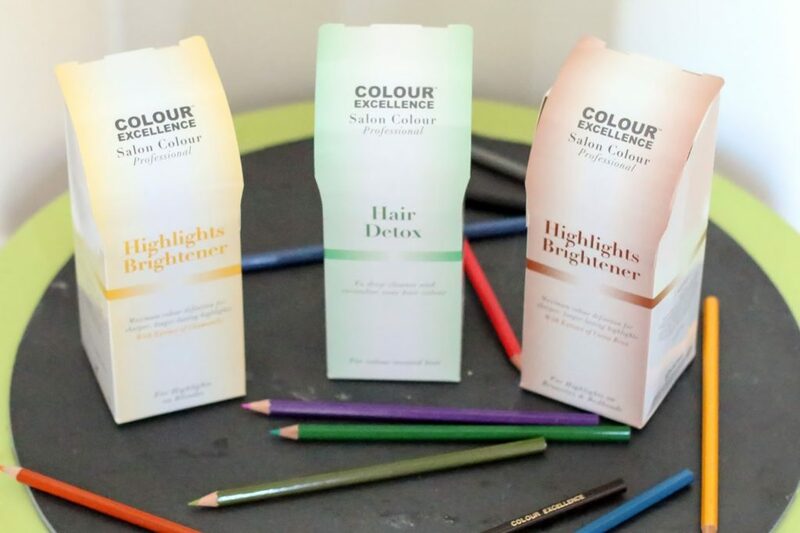 Colour Excellence is a complete new brand designed to keep your hair healthy and it’s backed by the experts! 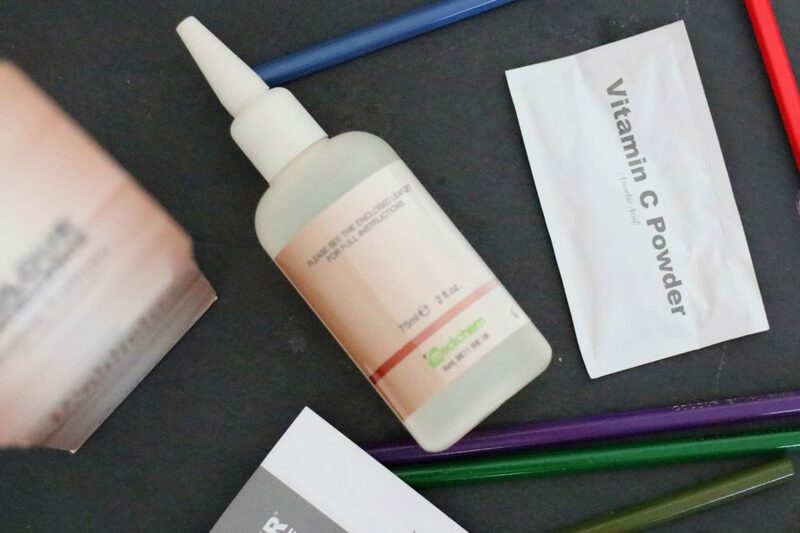 With only three products to offer, the brand is relatively niche, but very unique. It fills the gap in the market for the people looking for an affordable, yet professional at home hair detox treatment! With only 3 products on offer, it’s really easy to pick out the exact product you need! 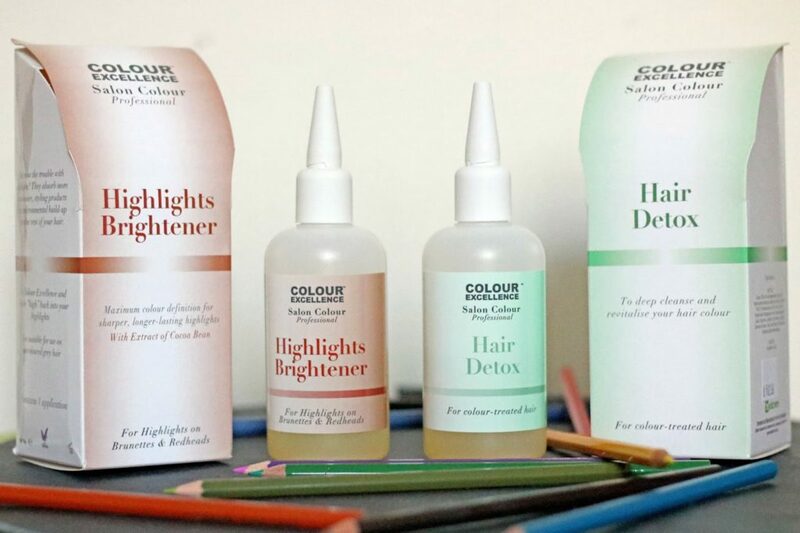 The product offering consists of: Highlighter Brightener for Highlights on Blondes, Highlighter & Brightener for Highlights on Brunettes and Hair Detox for Colour-Treated hair. So depending on your hair colour, it’s really easy to pick out which one of these you should go for! So far I’ve only tested out the Hair Detox as I want to save the Highlights Brightener* for another day, The Hair Detox works both on coloured and uncoloured hair, but it definitely brings out more colour in dyed hair! It gives your hair a deep cleanse, restores the natural moisture balance and cleanses your scalp to ensure healthy hair growth! Unfortunately, there’s only one application per pack and it’s recommended that you apply this regularly to see the maximal effect! 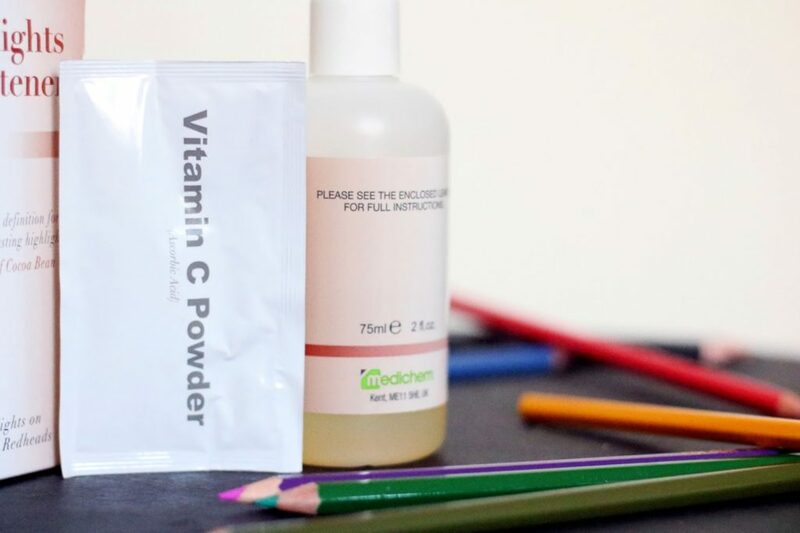 Each package comes with a bottled stabiliser, a pack of vitamin C and a set of plastic gloves. It also comes with some instructions to make sure that you apply these correctly. You can also find the instructions on Boots. My hair felt so good after using it! I can’t really tell you the long term effects just yet, but my hair felt extremely light just after I used it. It really brought out the colours in my hair and I can’ believe how smooth it feels! It smells really nice too with a mild sweet fruity scent. At £7.99 per application, the price tag is too much for me for regularly use. 🙁 Nevertheless, it’s something that I can afford to get if I did want to give my hair a treat! Also, now for the moment you’re waiting for! I’ll be giving away the Highlights Brightener for Blondes (in the yellow packaging) as I don’t have blonde hair! Follow the Rafflecopter instructions below for a chance to win!